Uh-oh! Chitty Chitty Bang Bang is stuck in reverse. And Little Harry's pressed a button that means she's reversing through time - with the Tootings aboard. When they finally come to a stop, it's at the feet of a very hungry-looking T. rex. How are the Tootings - and Chitty - going to get out of this one? More fun, fast, feel-good adventure with the world's greatest car...driven by the world's most hapless family. 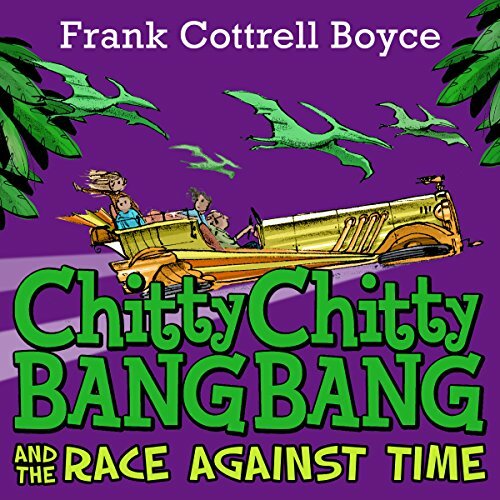 Chitty Chitty Bang Bang is a registered trademark of Danjaq LLC and United Artists Corporation, used under licence by Ian Fleming Publications Ltd.
My daughter loves the new Chitty Chitty Bang Bang books. They're funny, inventive and grippingly written and David Tenant's narration is just genius. Highly recommended.